Cliff is the tall one with the wizard hair. 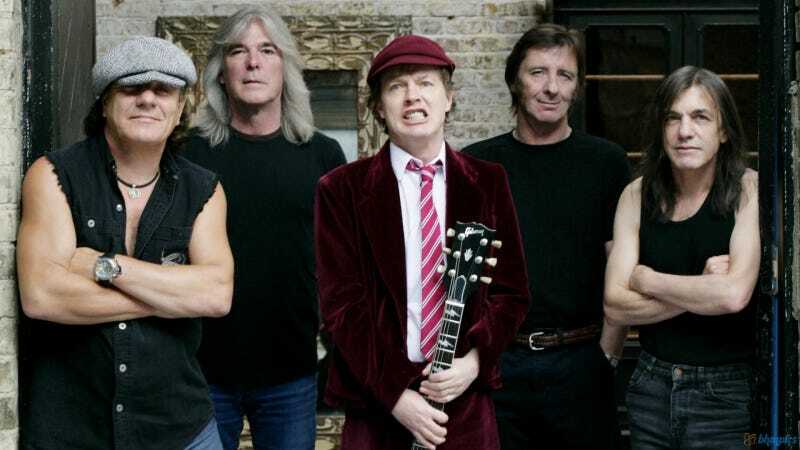 And even with the myriad bands that have been influenced by (or even flat-out imitated) their deceptively-simple style of pub-rock, nobody’s ever nailed those flavors, those tones, those grooves the way AC/DC has for decades. Read the whole Pitchfork article here, or just watch his video statement below. Seems like a cool ol’ bloke who’s ready for some golden years. Cliff is the third member to leave the band for health reasons in the past 2 years. In 2014, Guitarist Malcolm Young was felled by dementia and has since retired to an assisted care facility (he was replaced in the band by his nephew Stevie). In spring 2016, singer Brian Johnson retired mid-tour on doctor’s advice (to save his severely decaying hearing), and was replaced by Axl Rose (Guns & Roses) for the remainder of the tour. Alexandre Desplat to Score Luc Besson&apos;s "Valerian"